The instant #1 New York Times bestseller, now with an explosive new preface. 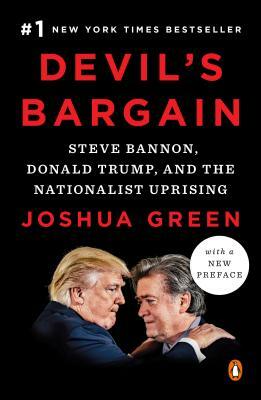 Joshua Green is a national correspondent for Bloomberg Businessweek and a CNN political analyst. Previously, Green was a senior editor of the Atlantic, a weekly political columnist for the Boston Globe, and an editor at the Washington Monthly. He has also written for the New Yorker, Esquire, Vanity Fair, and other publications. Green regularly appears on CNN’s shows, HBO’s Real Time with Bill Maher, and PBS’s Washington Week and Frontline.